The provisions of the Nevada statutes that permit the filing of mechanics liens and materialman's liens can be found in Nevada's Construction Lien Law, N.R.S.T. 9, Ch. 108 et. seq. The full text of the Nevada Construction Lien Law is provided below, and has been updated as of 2011. To see a quick synopsis of the most important provisions, take a look at our Nevada Frequently Asked Questions page. As used in NRS 108.221 to 108.246, inclusive, unless the context otherwise requires, the words and terms defined in NRS 108.22104 to 108.22188, inclusive, have the meanings ascribed to them in those sections. “Agent of the owner” means every architect, builder, contractor, engineer, geologist, land surveyor, lessee, miner, subcontractor or other person having charge or control of the property, improvement or work of improvement of the owner, or any part thereof. “Building” means a primary building or other superstructure, together with all garages, outbuildings and other structures appurtenant thereto. 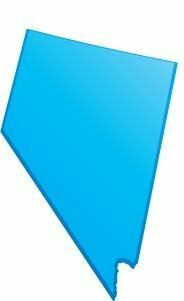 Click Here to File a Nevada Document. is visible from a reasonable inspection of the site. 3. The cessation of all work on a work of improvement for 30 consecutive days, provided a notice of completion is timely recorded and served and the work is not resumed under the same contract. “Construction control” has the meaning ascribed to it in NRS 627.050. “Contract” means a written or oral agreement, including all attachments and amendments thereto, for the provision of work, materials or equipment for a work of improvement. “Equipment” means tools, machinery and vehicles, furnished or rented, which are used or to be used in the construction, alteration or repair of a work of improvement at the request of the owner or an agent of the owner. 8. Constructing a vault, cellar or room under sidewalks or making improvements to the sidewalks in front of or adjoining the property. “Lien” means the statutory rights and security interest in a construction disbursement account established pursuant to NRS 108.2403, or property or any improvements thereon provided to a lien claimant by NRS 108.221 to 108.246, inclusive. “Lienable amount” means the principal amount of a lien to which a lien claimant is entitled pursuant to subsection 1 of NRS 108.222. 1. “Lien claimant” means any person who provides work, material or equipment with a value of $500 or more to be used in or for the construction, alteration or repair of any improvement, property or work of improvement. The term includes, without limitation, every artisan, builder, contractor, laborer, lessor or renter of equipment, materialman, miner, subcontractor or other person who provides work, material or equipment, and any person who performs services as an architect, engineer, land surveyor or geologist, in relation to the improvement, property or work of improvement. 2. As used in this section, “laborer” includes, without limitation, an express trust fund to which any portion of the total compensation of a laborer, including, without limitation, any fringe benefit, must be paid pursuant to an agreement with that laborer or the collective bargaining agent of that laborer. “Material” means appliances, equipment, machinery and substances affixed, used or to be used, consumed or incorporated in the improvement of property or the construction, alteration or repair of any improvement, property or work of improvement. (g) A person described in paragraph (a), (b), (c), (d) or (e) who leases the property or an improvement to the property to this State or a political subdivision of this State, including, without limitation, an incorporated city or town, if the property or improvement is privately owned. (d) Except as otherwise provided in paragraph (f) of subsection 1, this State or a political subdivision of this State, including, without limitation, an incorporated city or town. “Notice of lien” means a notice recorded pursuant to NRS 108.226 to perfect a lien. “Prevailing lien claimant” means a lien claimant to whom an amount is found due by a trier of fact on a notice of lien or a claim against a surety bond. “Prime contract” means a contract between a prime contractor and the owner or lessee of property about which the contract relates. 2. A person who is an owner of the property, is licensed as a general contractor pursuant to chapter 624 of NRS and provides work, materials or equipment to be used for the improvement of the property or in the construction, alteration or repair of a work of improvement. “Principal,” as pertaining to a surety bond, means the debtor of the lien claimant or a party in interest in the property subject to the lien whose name and signature appear as principal on a surety bond. “Property” means the land, real property or mining claim of an owner for which a work of improvement was provided, including all buildings, improvements and fixtures thereon, and a convenient space on, around and about the same, or so much as may be required for the convenient use and occupation thereof. 2. Issues a surety bond pursuant to NRS 108.2413 to 108.2425, inclusive, that does not exceed the underwriting limitations established for that surety by the United States Department of the Treasury. “Surety bond” means a bond issued by a surety for the release of a prospective or existing lien pursuant to NRS 108.2413 to 108.2425, inclusive. “Work” means the planning, design, geotechnical and environmental investigations, surveying, labor and services provided by a lien claimant for the construction, alteration or repair of any improvement, property or work of improvement whether the work is completed or partially completed. (e) Constructing a vault, cellar or room under sidewalks or making improvements to the sidewalks in front of or adjoining the property. (b) If the parties did not agree, by contract or otherwise, upon a specific price or method for determining a specific price for some or all of the work, material and equipment furnished or to be furnished by or through the lien claimant, including, without limitation, any additional or changed work, material or equipment, an amount equal to the fair market value of such work, material or equipment, as the case may be, including a reasonable allowance for overhead and a profit, whether performed, furnished or to be performed or furnished at the instance of the owner or at the instance of the owner’s agent. 2. If a contractor or professional is required to be licensed pursuant to the provisions of NRS to perform the work, the contractor or professional will only have a lien pursuant to subsection 1 if the contractor or professional is licensed to perform the work. (a) Any lien, mortgage or other encumbrance which may have attached to the property after the commencement of construction of a work of improvement. (b) Any lien, mortgage or other encumbrance of which the lien claimant had no notice and which was unrecorded against the property at the commencement of construction of a work of improvement. 2. Every mortgage or encumbrance imposed upon, or conveyance made of, property affected by the liens provided for in NRS 108.221 to 108.246, inclusive, after the commencement of construction of a work of improvement are subordinate and subject to the liens provided for in NRS 108.221 to 108.246, inclusive, regardless of the date of recording the notices of liens. (b) Within 40 days after the recording of a valid notice of completion, if the notice of completion is recorded and served in the manner required pursuant to NRS 108.228. (a) A statement of the lienable amount after deducting all just credits and offsets. (b) The name of the owner if known. (c) The name of the person by whom the lien claimant was employed or to whom the lien claimant furnished the material or equipment. (d) A brief statement of the terms of payment of the contract. (e) A description of the property to be charged with the notice of lien sufficient for identification. 3. The notice of lien must be verified by the oath of the lien claimant or some other person. The notice of lien need not be acknowledged to be recorded. 4. It is unlawful for a person knowingly to make a false statement in or relating to the recording of a notice of lien pursuant to the provisions of this section. A person who violates this subsection is guilty of a gross misdemeanor and shall be punished by a fine of not less than $5,000 nor more than $10,000. I have read the foregoing Notice of Lien, know the contents thereof and state that the same is true of my own personal knowledge, except those matters stated upon information and belief, and, as to those matters, I believe them to be true. 6. Except as otherwise provided in subsection 7, if a work of improvement involves the construction, alteration or repair of multifamily or single-family residences, including, without limitation, apartment houses, a lien claimant, except laborers, must serve a 15-day notice of intent to lien incorporating substantially the same information required in a notice of lien upon both the owner and the reputed prime contractor before recording a notice of lien. Service of the notice of intent to lien must be by personal delivery or certified mail and will extend the time for recording the notice of lien described in subsection 1 by 15 days. A notice of lien for materials or equipment furnished or to be furnished for work or services performed or to be performed, except labor, for a work of improvement involving the construction, alteration or repair of multifamily or single-family residences may not be perfected or enforced pursuant to NRS 108.221 to 108.246, inclusive, unless the 15-day notice of intent to lien has been given to the owner. 7. The provisions of subsection 6 do not apply to the construction of any nonresidential construction project. (IV) The address identified in the records of the county recorder of the county in which the property is located. 2. If there is more than one owner, failure to serve a copy of the notice of lien upon a particular owner does not invalidate a notice of lien if properly served upon another owner. 3. Each subcontractor who participates in the construction, improvement, alteration or repair of a work of improvement shall deliver a copy of each notice of lien required by NRS 108.226 to the prime contractor. The failure of a subcontractor to deliver the notice to the prime contractor is a ground for disciplinary proceedings pursuant to chapter 624 of NRS. 1. The debtor of the lien claimant or a party in interest in the property subject to the notice of lien who believes the notice of lien is frivolous and was made without reasonable cause, or that the amount of the notice of lien is excessive, may apply by motion to the district court for the county where the property or some part thereof is located for an order directing the lien claimant to appear before the court to show cause why the relief requested should not be granted. (2) Documentary evidence in support of the affidavit, if any. 3. If the court issues an order for a hearing, the applicant shall serve notice of the application and order of the court on the lien claimant within 3 days after the court issues the order. The court shall conduct the hearing within not less than 15 days or more than 30 days after the court issues the order for a hearing. 4. The order for a hearing must include a statement that if the lien claimant fails to appear at the time and place noted, the notice of lien will be released with prejudice and the lien claimant will be ordered to pay the reasonable costs the applicant incurs in bringing the motion, including reasonable attorney’s fees. 5. If, at the time the application is filed, an action to foreclose the notice of lien has not been filed, the clerk of the court shall assign a number to the application and obtain from the applicant a filing fee of $85. If an action has been filed to foreclose the notice of lien before the application was filed pursuant to this section, the application must be made a part of the action to foreclose the notice of lien. (a) The notice of lien is frivolous and was made without reasonable cause, the court shall make an order releasing the lien and awarding costs and reasonable attorney’s fees to the applicant for bringing the motion. (b) The amount of the notice of lien is excessive, the court may make an order reducing the notice of lien to an amount deemed appropriate by the court and awarding costs and reasonable attorney’s fees to the applicant for bringing the motion. (c) The notice of lien is not frivolous and was made with reasonable cause or that the amount of the notice of lien is not excessive, the court shall make an order awarding costs and reasonable attorney’s fees to the lien claimant for defending the motion. 7. Proceedings conducted pursuant to this section do not affect any other rights and remedies otherwise available to the parties. 8. An appeal may be taken from an order made pursuant to subsection 6. A stay may not be granted if the district court does not release the lien pursuant to subsection 6. 9. If an order releasing or reducing a notice of lien is entered by the court, and the order is not stayed, the applicant may, within 5 days after the order is entered, record a certified copy of the order in the office of the county recorder of the county where the property or some part thereof is located. The recording of a certified copy of the order releasing or reducing a notice of lien is notice to any interested party that the notice of lien has been released or reduced. 1. The owner may record a notice of completion after the completion of the work of improvement. (a) The date of completion of the work of improvement. (b) The owner’s name or owners’ names, as the case may be, the address of the owner or addresses of the owners, as the case may be, and the nature of the title, if any, of the person signing the notice. (c) A description of the property sufficient for identification. (d) The name of the prime contractor or names of the prime contractors, if any. 3. The notice must be verified by the owner or by some other person on the owner’s behalf. The notice need not be acknowledged to be recorded. (a) Each prime contractor with whom the owner contracted for all or part of the work of improvement. (b) Each potential lien claimant who, before the notice was recorded pursuant to this section, either submitted a request to the owner to receive the notice or delivered a preliminary notice of right to lien pursuant to NRS 108.245. 5. The failure of the owner to deliver a copy of the notice of completion in the time and manner provided in this section renders the notice of completion ineffective with respect to each prime contractor and lien claimant to whom a copy was required to be delivered pursuant to subsection 4. (b) Misleads an adverse party to the party’s prejudice, but then only with respect to the adverse party who was prejudiced. (b) Misleads the adverse party to the party’s prejudice, but then only with respect to the adverse party who was prejudiced. In all cases of immaterial variance the notice of lien may be amended, by amendment duly recorded, to conform to the proof. 3. An error or mistake in the name of the owner contained in any notice of lien does not defeat the lien, unless a correction of the notice of lien in a particular instance would prejudice the rights of an innocent bona fide purchaser or encumbrancer for value, but then only with respect to the bona fide purchaser or encumbrancer for value who was prejudiced. (a) That person or persons should not be substituted as the correct owner in the notice of lien and in the suit, in lieu of the person so made defendant and alleged to be owner by mistake. (b) That person or persons should not be bound by the judgment or decree of the court. Such proceedings must be had therein as though the party so cited to appear had been an original party defendant in the action or suit, and originally named in the notice of lien as owner, and the rights of all parties must thereupon be fully adjudicated. 5. A notice of lien which contains therein the description of the property supplied by and set forth in the notice of completion recorded pursuant to NRS 108.228 must, for all purposes, be sufficient as a description of the actual property upon which the work was performed or materials or equipment were supplied, and amendment of the notice of lien or amendment of the pleading filed by the lien claimant in a foreclosure action, or both, may be made to state the correct description, and the corrected description relates back to the time of recording the notice of lien, unless a correction of the notice of lien in a particular instance would prejudice the rights of an innocent bona fide purchaser or encumbrancer for value, but then only with respect to the bona fide purchaser or encumbrancer for value who was prejudiced. 1. In every case in which a notice of lien is recorded against two or more separate buildings or mining claims that are owned by the same person and that are located on separate legal parcels that existed at the commencement of construction, the lien claimant must, at the time of recording the notice of lien, designate the lienable amount due on each building or mining claim. 2. The lien of a lien claimant only applies to the lienable amount designated in the notice of lien, plus all amounts that may be awarded by the court pursuant to NRS 108.237, as against other creditors having liens by judgment or otherwise, upon the buildings or mining claims. However, the lienable amount chargeable to the interest of the owner in each building must be the total amount of the lien claimant’s notice of lien, without regard to the proportionate amount designated to each separate building in the lien claimant’s notice of lien, plus all amounts that may be awarded by the court pursuant to NRS 108.237, but upon the trial thereof, the court may, where it deems it equitable to do so, distribute the lien equitably as among the several buildings involved. 3. If a lien claimant fails to designate in the notice of lien the amount due on each separate building as provided in subsection 1, the lien claimant’s notice of lien must be postponed to the notices of lien of other lien claimants and other encumbrancers for value who have designated the amount due on each building or mining claim but must not be inferior to any rights or interests of the owner. For purposes of this subsection, a lien claimant’s lien must not be postponed to other liens or encumbrances if the lien claimant’s designation among the parcels was estimated by the lien claimant in good faith or was based upon a pro rata division of the total lienable amount. The county recorder of the county in which property that is subject to a lien is located must record the notice of lien in a book kept by the county recorder for that purpose, which record must be indexed as deeds and other conveyances are required by law to be indexed, and for which the county recorder may receive the same fees as are allowed by law for recording deeds and other instruments. (b) The time to commence the action is extended by a written instrument signed by the lien claimant and by a person or persons in interest in the property subject to the lien, in which event, and as to only that person or those persons in interest signing the agreement, the time is extended, but no extension is valid unless in writing and recorded in the county recorder’s office in which the notice of lien is recorded and unless the extension agreement is recorded within the 6-month period. The extension agreement, to be recorded, must be acknowledged as required by law for the acknowledgment of deeds. An action may be commenced within the extended time only against the persons signing the extension agreement and only as to their interests in the property are affected, and upon the lapse of the time specified in the extension agreement, an action may not thereafter be commenced, nor may a second extension be given. 2. For all purposes, a notice of lien shall be deemed to have expired as a lien against the property after the lapse of the 6-month period provided in subsection 1, and the recording of a notice of lien does not provide actual or constructive notice after the lapse of the 6-month period and as a lien on the property referred to in the notice of lien, unless, before the lapse of the 6-month period an extension agreement has been recorded, in which event, the lien will only continue as a lien on the interests of those persons signing the extension for the period specified in the extension. An extension must not be given for a period in excess of 1 year beyond the date on which the notice of lien is recorded. 3. If there are other notices of lien outstanding against the property, an extension must not be given upon a notice of lien which will tend to delay or postpone the collection of other liens evidenced by a notice of lien or encumbrances against the property. 1. Except as otherwise provided in subsection 2, every improvement constructed, altered or repaired upon property shall be deemed to have been constructed, altered or repaired at the instance of each owner having or claiming any interest therein, and the interest owned or claimed must be subject to each notice of lien recorded in accordance with the provisions of NRS 108.221 to 108.246, inclusive. (b) An optionor, the notice of nonresponsibility shall be deemed timely recorded if the notice is recorded within 3 days immediately following the date on which the option is exercised in writing. (e) Whether the disinterested owner has notified the lessee in writing that the lessee must comply with the requirements of NRS 108.2403. (b) Upon the prime contractor for the work of improvement within 10 days after the date on which the lessee contracts with the prime contractor for the construction, alteration or repair of the work of improvement. (b) Serve a copy of the notice of nonresponsibility by personal delivery, facsimile or by certified mail, return receipt requested, upon each lien claimant from whom a notice of right to lien was received, within 10 days after receipt of the notice of nonresponsibility or a notice of right to lien, whichever occurs later. 6. An owner who does not comply with the provisions of this section may not assert any claim that the owner’s interest in any improvement and the property upon which an improvement is constructed, altered or repaired is not subject to or is immune from the attachment of a lien pursuant to NRS 108.221 to 108.246, inclusive. (b) Does not personally or through an agent or representative, directly or indirectly, contract for or cause a work of improvement, or any portion thereof, to be constructed, altered or repaired upon the property or an improvement of the owner. The term does not include an owner who is a lessor if the lessee fails to satisfy the requirements set forth in NRS 108.2403 and 108.2407. (b) Upon receipt of the amount described in paragraph (a), shall pay all liens for the work, equipment or materials which were furnished or to be furnished as provided in NRS 108.221 to 108.246, inclusive. 2. In all cases where a prime contractor has been paid for the work, materials or equipment which are the subject of a notice of lien recorded under NRS 108.221 to 108.246, inclusive, the prime contractor shall defend the owner in any action brought thereupon at the prime contractor’s own expense. 3. Except as otherwise provided in this subsection, if a lien claimant records a notice of lien for the work, equipment or materials furnished or to be furnished to the prime contractor, the owner may withhold from the prime contractor the amount of money for which the lien claimant’s notice of lien is recorded. If the lien claimant’s notice of lien resulted from the owner’s failure to pay the prime contractor for the lien claimant’s work, materials or equipment, the owner shall not withhold the amount set forth in the notice of lien from the prime contractor if the prime contractor or lien claimant tenders a release of the lien claimant’s lien to the owner. In case of judgment against the owner or the owner’s property which is the subject of the lien, the owner may deduct, from any amount due or to become due to the prime contractor, the amount paid by the owner to the lien claimant for which the prime contractor was liable and recover back from the prime contractor any amount so paid by the owner in excess of the amount the court has found that the owner owes to the prime contractor. (a) First: All labor whether performed at the instance or direction of the owner, the subcontractor or the prime contractor. (b) Second: Material suppliers and lessors of equipment. (c) Third: All other lien claimants who have performed their work, in whole or in part, under contract with the prime contractor or any subcontractor. (d) Fourth: All other lien claimants. 2. The proceeds of the sale of the property must be applied to each lien claimant or class of lien claimants in the order of its rank. 1. The court shall award to a prevailing lien claimant, whether on its lien or on a surety bond, the lienable amount found due to the lien claimant by the court and the cost of preparing and recording the notice of lien, including, without limitation, attorney’s fees, if any, and interest. The court shall also award to the prevailing lien claimant, whether on its lien or on a surety bond, the costs of the proceedings, including, without limitation, reasonable attorney’s fees, the costs for representation of the lien claimant in the proceedings, and any other amounts as the court may find to be justly due and owing to the lien claimant. (b) If a rate of interest is not provided in the lien claimant’s contract, interest at a rate equal to the prime rate at the largest bank in Nevada, as ascertained by the Commissioner of Financial Institutions, on January 1 or July 1, as the case may be, immediately preceding the date of judgment, plus 4 percent, on the amount of the lien found payable. The rate of interest must be adjusted accordingly on each January 1 and July 1 thereafter until the amount of the lien is paid. Interest is payable from the date on which the payment is found to have been due, as determined by the court. 3. If the lien claim is not upheld, the court may award costs and reasonable attorney’s fees to the owner or other person defending against the lien claim if the court finds that the notice of lien was pursued by the lien claimant without a reasonable basis in law or fact. The provisions of NRS 108.221 to 108.246, inclusive, must not be construed to impair or affect the right of a lien claimant to whom any debt may be due for work, materials or equipment furnished to maintain a civil action to recover that debt against the person liable therefor or to submit any controversy arising under a contract to arbitration to recover that amount. 1. A notice of lien may be enforced by an action in any court of competent jurisdiction that is located within the county where the property upon which the work of improvement is located, on setting out in the complaint the particulars of the demand, with a description of the property to be charged with the lien. (b) Cause a notice of foreclosure to be published at least once a week for 3 successive weeks, in one newspaper published in the county, and if there is no newspaper published in the county, then in such mode as the court may determine, notifying all persons holding or claiming a notice of lien pursuant to the provisions of NRS 108.221 to 108.246, inclusive, on the property to file with the clerk and serve on the lien claimant and also on the defendant, if the defendant is within the State or is represented by counsel, written statements of the facts constituting their liens, together with the dates and amounts thereof. 3. All persons holding or claiming a notice of lien may join a lien claimant’s action by filing a statement of facts within a reasonable time after publication of the notice of foreclosure or receiving notice of the foreclosure, whichever occurs later. Any number of persons claiming liens may join in the same action if they timely file a statement of facts in the lien claimant’s action. The lien claimant and other parties adversely interested must be allowed 20 days to answer the statements. 4. If it appears from the records of the county recorder that there are other notices of lien recorded against the same property at the time of the commencement of the action, the lien claimant shall, in addition to and after the initial publication of the notice of foreclosure as provided in paragraph (b) of subsection 2, mail to those other lien claimants, by registered or certified mail, or deliver in person a copy of the notice of foreclosure as published. 5. At the time of any change in the venue of the action, the lien claimant shall file a notice of pendency of the action, in the manner provided in NRS 14.010, and include in the notice the court and county to which the action is changed. 6. When separate actions are commenced by lien claimants to foreclose on their respective notices of lien, the court may consolidate all the actions. The consolidation does not affect or change the priority of lien claims. 7. The court shall enter judgment according to the right of the parties, and shall, by decree, proceed to hear and determine the claims in a summary way, or may, if it be the district court, refer the claims to a special master to ascertain and report upon the liens and the amount justly due thereon. No consequential damages may be recovered in an action pursuant to this section. All liens not so exhibited shall be deemed to be waived in favor of those which are so exhibited. (b) If a lien action is designated as complex by the court, the court may take into account the rights and claims of all lien claimants in setting a date for the preferential trial. (a) The court may, at the request of a party to the arbitration, stay the lien claimant’s action to foreclose the lien pending the outcome of the binding arbitration. If the foreclosure on the lien involves the rights of other lien claimants or persons whose claims are not the subject of the binding arbitration, the court may stay the lien claimant’s foreclosure proceeding only upon terms which are just and which afford the lien claimant a fair opportunity to protect his or her lien rights and priorities with respect to other lien claimants and persons. (b) Upon the granting of an award by the arbitrator, any party to the arbitration may seek an order from the court in the action to foreclose on the lien confirming or adopting the award and determining the lienable amount of the lien claimant’s lien in accordance with the order, if any. Upon determining the lienable amount, the court shall enter a judgment or decree for the lienable amount, plus all amounts that may be awarded by the court to the lien claimant pursuant to NRS 108.237, and the court may include as part of the lien all costs and attorney’s fees awarded to the lien claimant by the arbitrator and all costs and attorney’s fees incurred by the lien claimant pertaining to any application or motion to confirm, adopt, modify or correct the award of the arbitrator. A judgment or decree entered by the court pursuant to this subsection may be enforced against the property as provided in subsections 10, 11 and 12. 10. On ascertaining the whole amount of the liens with which the property is justly chargeable, as provided in NRS 108.221 to 108.246, inclusive, the court shall cause the property to be sold in satisfaction of all liens and the costs of sale, including all amounts awarded to all lien claimants pursuant to NRS 108.237, and any party in whose favor judgment may be rendered may cause the property to be sold within the time and in the manner provided for sales on execution, issued out of any district court, for the sale of real property. 11. If the proceeds of sale, after payment of the costs of sale, are not sufficient to satisfy all liens to be included in the decree of sale, including all amounts awarded to all lien claimants pursuant to NRS 108.237, the proceeds must be apportioned according to the right of the various lien claimants. If the proceeds of the sale amount to more than the sum of all liens and the cost of sale, the remainder must be paid over to the owner of the property. 12. Each party whose claim is not satisfied in the manner provided in this section is entitled to personal judgment for the residue against the party legally liable for it if that person has been personally summoned or has appeared in the action. (2) Record a surety bond for the prime contract that meets the requirements of subsection 2 of NRS 108.2415 and notify each person who gives the lessee a notice of right to lien of the recording of the surety bond as provided in paragraph (f) of subsection 2. (2) By mailing a copy of the notice of posted security by certified mail, return receipt requested, to the person who gives a notice of right to lien at the address identified in the notice of right to lien. (4) Any other amount awarded by a court or other trier of fact. 4. The rights and remedies provided pursuant to this section are in addition to any other rights and remedies that may exist at law or in equity, including, without limitation, the rights and remedies provided pursuant to NRS 624.606 to 624.630, inclusive. (a) In a county with a population of 400,000 or more with respect to a ground lessee who enters into a ground lease for real property which is designated for use or development by the county for commercial purposes which are compatible with the operation of the international airport for the county. (b) If all owners of the property, individually or collectively, record a written notice of waiver of the owners’ rights set forth in NRS 108.234 with the county recorder of the county where the property is located before the commencement of construction of the work of improvement. 2. Each owner who records a notice of waiver pursuant to paragraph (b) of subsection 1 must serve such notice by certified mail, return receipt requested, upon the prime contractor of the work of improvement and all other lien claimants who may give the owner a notice of right to lien pursuant to NRS 108.245, within 10 days after the owner’s receipt of a notice of right to lien or 10 days after the date on which the notice of waiver is recorded pursuant to this subsection. (2) That is entered into for a period of not less than 10 years, excluding any options to renew that may be included in any such lease. (b) “Ground lessee” means a person who enters into a ground lease as a lessee with the county as record owner of the real property as the lessor. 1. If a construction disbursement account is established and funded pursuant to subsection 2 of this section or subsection 1 of NRS 108.2403, each lien claimant has a lien upon the funds in the account for an amount equal to the lienable amount owed. (2) The provisions of subsection 3 of NRS 108.2403 shall be deemed to apply. 3. The construction control shall disburse money to lien claimants from the construction disbursement account for the lienable amount owed such lien claimants. (b) Personally delivering or mailing by certified mail, return receipt requested, a written notice of a claim of lien to the construction control within 90 days after the completion of the work of improvement. 5. Except as otherwise provided in subsection 6, the construction control shall pay a legitimate claim of lien upon receipt of the written notice described in subsection 4 from the funds available in the construction disbursement account. (b) The construction disbursement account does not have sufficient funds to pay all claims of liens for which the construction control has received notice. 7. If the construction control brings an action for interpleader pursuant to paragraph (a) of subsection 6, the construction control shall pay to the lien claimant any portion of the claim of lien that the construction control reasonably believes is legitimate. (c) Publish a notice of the action for interpleader once each week, for 3 successive weeks, in a newspaper of general circulation in the county in which the work of improvement is located. 9. A construction control who brings an action for interpleader pursuant to subsection 6 is entitled to be reimbursed from the construction disbursement account for the reasonable costs that the construction control incurred in bringing such action. 10. If a construction control for a construction disbursement account established by a lessee does not provide a proper certification as required pursuant to paragraph (b) of subsection 2 or does not comply with any other requirement of this section, the construction control and its bond are liable for any resulting damages to any lien claimants. A lien claimant’s lien rights or notice of lien may be released upon the posting of a surety bond in the manner provided in NRS 108.2415 to 108.2425, inclusive. NOW, THEREFORE, the undersigned principal and surety do hereby obligate themselves to the lien claimant named in the notice of lien, .........., (name of lien claimant) under the conditions prescribed by NRS 108.2413 to 108.2425, inclusive, in the sum of $.......... (1 ½ x lienable amount), from which sum they will pay the lien claimant that amount as a court of competent jurisdiction may adjudge to have been secured by the lien, including the total amount awarded pursuant to NRS 108.237, but the liability of the surety may not exceed the penal sum of the surety bond. On ..... (month) ..... (day) .... (year) before me, the undersigned, a notary public of this County and State, personally appeared .......... who acknowledged that he or she executed the foregoing instrument as principal for the purposes therein mentioned and also personally appeared .......... known (or satisfactorily proved) to me to be the attorney in fact of the surety that executed the foregoing instrument, known to me to be the person who executed that instrument on behalf of the surety therein named, and he or she acknowledged to me that the surety executed the foregoing instrument. On ..... (month) ..... (day), ..... (year), before me, the undersigned, a notary public of this County and State, personally appeared .......... who acknowledged that he or she executed the foregoing instrument as principal for the purposes therein mentioned and also personally appeared .......... known (or satisfactorily proved) to me to be the attorney in fact of the surety that executed the foregoing instrument, known to me to be the person who executed that instrument on behalf of the surety therein named, and he or she acknowledged to me that the surety executed the foregoing instrument. 3. The principal must record the surety bond in the office of the county recorder in the county in which the property upon which the improvement is located, either before or after the commencement of an action to enforce the lien. A certified copy of the recorded surety bond shall be deemed an original for purposes of this section. (c) If no notice of lien is recorded at the time the surety bond is recorded, service must be made by personal service or certified mail, return receipt requested, upon each lien claimant and prospective lien claimant that has provided or thereafter provides the owner or lessee with a notice of a right to lien. Such service must be within 10 days after the recording of the surety bond, or the service of notice of the right to lien upon the owner by a lien claimant, whichever is later. 5. Failure to serve the surety bond as provided in subsection 4 does not affect the validity of the surety bond, but the statute of limitations on any action on the surety bond, including a motion excepting to the sufficiency of the surety pursuant to NRS 108.2425, is tolled until notice is given. (a) Subsection 1 releases the property described in the surety bond from the lien and the surety bond shall be deemed to replace the property as security for the lien. (b) Subsection 2 releases the property described in the surety bond from any liens and prospective liens for work, materials or equipment related to the prime contract and the surety bond shall be deemed to replace the property as security for the lien. 1. The lien claimant is entitled to bring an action against the principal and surety on the surety bond and the lien claimant’s debtor in any court of competent jurisdiction that is located within the county where the property upon which the work of improvement is located. (1) If the surety bond is recorded pursuant to subsection 1 of NRS 108.2415, the lien claimant may bring an action against the principal and the surety not later than 9 months after the date that the lien claimant was served with notice of the recording of the surety bond. (II) Nine months after the date of the completion of the work of improvement. 3. At any time after the filing of a joint case conference report pursuant to Rule 16.1 of the Nevada Rules of Civil Procedure or, if the case is designated by the court as complex litigation, after the approval of the initial case management order by the court, each lien claimant in the action may serve upon the adverse party a “demand for preferential trial setting” and file the demand with the clerk of the court. Upon filing, the clerk of the court shall, before the Friday after the demand is filed, vacate a case or cases in a department of the court and set the lien claimant’s case for hearing, on a day or days certain, to be heard within 60 days after the filing of the “demand for preferential trial setting.” Only one such preferential trial setting need be given by the court, unless the hearing date is vacated without stipulation of counsel for the lien claimant in writing. If the hearing date is vacated without that stipulation, upon service and filing, a new preferential trial setting must be given. (f) A detailed summary of all claims, offsets and defenses that the party intends to rely upon at the trial. 5. Within 20 days after receipt of an opposing party’s identification of an expert witness, a party who desires to call a rebuttal expert witness at the trial must identify each person whom the party expects to call as a rebuttal expert witness, and must provide a statement of the substance of the facts and opinions to which the rebuttal expert witness is expected to testify and a summary of the grounds for each opinion. 6. A prevailing lien claimant on a claim against a surety bond must be awarded the lienable amount plus the total amount that may be awarded by the court pursuant to NRS 108.237, so long as the liability of the surety is limited to the penal sum of the surety bond. Such a judgment is immediately enforceable and may be appealed regardless of whether any other claims asserted or consolidated actions or suits have been resolved by a final judgment. 1. By entering into a surety bond given pursuant to NRS 108.2415, the principal and surety submit themselves to the jurisdiction of the court in which an action or suit is pending on a notice of lien on the property described in the surety bond, and the principal and surety irrevocably appoint the clerk of that court as their agent upon whom any papers affecting the liability on the surety bond may be served. The liability of the principal may be established by the court in the pending action. The liability of the surety may be enforced on motion without necessity of an independent action. The motion and such notice of motion as the court prescribes may be served on the clerk of the court, who shall forthwith mail copies to the principal and surety if their addresses are known. (b) If an appeal has been taken from the judgment, the filing of the remittitur from the Supreme Court. 1. The lien claimant may, within 15 days after the service of a copy of the surety bond pursuant to subsection 4 of NRS 108.2415, file a motion with the clerk of the court in a pending action, or if no action has been commenced, file a petition with the court, excepting to the sufficiency of the surety or the surety bond, and shall, at the same time and together with that motion or petition, file an affidavit setting forth the grounds and basis of the exceptions to the surety or the surety bond, and shall serve a copy of the motion or petition and a copy of the affidavit upon the principal at the address set forth in the surety bond within 5 business days after the date of filing. A hearing must be had upon the justification of the surety or the surety bond not less than 10 days and not more than 20 days after the filing of the motion or petition. If the court determines that the surety or surety bond is insufficient, the lien claimant’s lien will remain against the property or the court may allow the substitution of a sufficient surety and surety bond. 2. If, at any time after the recording of a surety bond pursuant to NRS 108.2415, the surety becomes unauthorized to transact surety business in this State pursuant to NRS 679A.030 or is dropped from the United States Department of the Treasury’s Listing of Approved Sureties or there exists any other good cause, a lien claimant or other person having an interest in the surety bond may apply to the district court in a pending action, or commence an action if none is pending, for an order to require the principal to provide additional security or to change, substitute or add securities, or to enforce or change any other matter affecting the security provided by the surety bond. 3. If a court finds that the amount of a surety bond recorded pursuant to NRS 108.2415 is insufficient to pay the total amount that may be awarded by the court pursuant to NRS 108.237, the court shall order the principal to obtain additional security or to change or substitute securities so that the amount of the security provided is 1.5 times the total amount that may be awarded. 4. Any surety that records or consents to the recording of a surety bond pursuant to NRS 108.2415 will remain fully liable to any lien claimant for up to the penal sum of the surety bond regardless of the payment or nonpayment of any surety bond premium. 1. Any lien may be assigned in the same manner as any other chose in action after it has been perfected by recording. 2. An assignment of a lien before recording will not be effective until written notice of the assignment has been given to the owner by the assignee. The notice will be sufficient if delivered in person or mailed by certified mail to the owner. After such notice, the assignee may perfect the lien in the assignee’s own name. 3. One or more lien claimants of any class may assign their notices of lien by written assignment, signed by each assignor, to any other person or lien claimant of any class, and the assignee may commence and prosecute the action upon all of the notices of lien in the assignee’s own name or in the name of the original lien claimant. 4. In the event that a claim for which a lien may be filed is assigned before it is perfected, such assignment does not discharge or defeat the right to perfect the lien, if the lien is reassigned to the lien claimant, and thereafter the lien is timely perfected. 1. Except as otherwise provided in subsection 2, a notice of lien upon the property provided for in NRS 108.221 to 108.246, inclusive, may be discharged by an entry on the margin of the record thereof, signed by the lien claimant or the lien claimant’s personal representative or assignee in the presence of the recorder or the recorder’s deputy, acknowledging the satisfaction of or value received for the notice of lien and the debt secured thereby. The recorder or the deputy shall subscribe the entry as witness. The entry has the same effect as a discharge or release of the notice of lien acknowledged and recorded as provided by law. The recorder shall properly index each marginal discharge. 2. If the notice of lien has been recorded by a microfilm or other photographic process, a marginal release may not be used and an acknowledged discharge or release of the notice of lien must be recorded. 3. If the recorder or the recorder’s deputy is presented with a certificate executed by the lien claimant or the lien claimant’s personal representative or assignee, specifying that the notice of lien has been paid or otherwise satisfied or discharged, the recorder or the deputy shall discharge the notice of lien upon the record. NOW, THEREFORE, for valuable consideration the undersigned does release, satisfy and discharge this notice of lien on the property or improvements described above by reason of this Notice of Lien. 2. If the lien claimant fails to comply with the provisions of subsection 1, the lien claimant is liable in a civil action to the owner of the property, his or her heirs or assigns for any actual damages caused by the lien claimant’s failure to comply with those provisions or $125, whichever is greater, and for a reasonable attorney’s fee and the costs of bringing the action. 2. In order to comply with the provisions of NRS 108.239.
for improvement of property identified as (property description or street address) under contract with (general contractor or subcontractor). This is not a notice that the undersigned has not been or does not expect to be paid, but a notice required by law that the undersigned may, at a future date, record a notice of lien as provided by law against the property if the undersigned is not paid. A subcontractor or equipment or material supplier who gives such a notice must also deliver in person or send by certified mail a copy of the notice to the prime contractor for information only. The failure by a subcontractor to deliver the notice to the prime contractor is a ground for disciplinary proceedings against the subcontractor under chapter 624 of NRS but does not invalidate the notice to the owner. 2. Such a notice does not constitute a lien or give actual or constructive notice of a lien for any purpose. 3. No lien for materials or equipment furnished or for work or services performed, except labor, may be perfected or enforced pursuant to NRS 108.221 to 108.246, inclusive, unless the notice has been given. 4. The notice need not be verified, sworn to or acknowledged. 5. A prime contractor or other person who contracts directly with an owner or sells materials directly to an owner is not required to give notice pursuant to this section. 6. A lien claimant who is required by this section to give a notice of right to lien to an owner and who gives such a notice has a right to lien for materials or equipment furnished or for work or services performed in the 31 days before the date the notice of right to lien is given and for the materials or equipment furnished or for work or services performed anytime thereafter until the completion of the work of improvement. 1. Except as otherwise provided in NRS 108.221 to 108.246, inclusive, a person may not waive or modify a right, obligation or liability set forth in the provisions of NRS 108.221 to 108.246, inclusive. (e) Require a prime contractor or subcontractor to waive, release or extinguish a claim or right that the prime contractor or subcontractor may otherwise possess or acquire for delay, acceleration, disruption or impact damages or an extension of time for delays incurred, for any delay, acceleration, disruption or impact event which was unreasonable under the circumstances, not within the contemplation of the parties at the time the contract was entered into, or for which the prime contractor or subcontractor is not responsible. (b) In the case of a conditional waiver and release, receives payment of the amount identified in the conditional waiver and release. (b) The lien claimant received payment for the lien and then only to the extent of the payment received. (c) The balance owed to the lien claimant for the work, materials or equipment covered by the joint check, whichever is less. 4. This section does not affect the enforceability of either an accord and satisfaction regarding a bona fide dispute or any agreement made in settlement of an action pending in any court or arbitration, provided the accord and satisfaction or settlement makes specific reference to the lien rights waived or impaired and is in a writing signed by the lien claimant. This release covers a progress payment for the work, materials or equipment furnished by the undersigned to the Property or to the Undersigned’s Customer which are the subject of the Invoice or Payment Application, but only to the extent of the Payment Amount or such portion of the Payment Amount as the undersigned is actually paid, and does not cover any retention withheld, any items, modifications or changes pending approval, disputed items and claims, or items furnished that are not paid. Before any recipient of this document relies on it, the recipient should verify evidence of payment to the undersigned. The undersigned warrants that he or she either has already paid or will use the money received from this progress payment promptly to pay in full all laborers, subcontractors, materialmen and suppliers for all work, materials or equipment that are the subject of this waiver and release. This release covers a progress payment for the work, materials and equipment furnished by the undersigned to the Property or to the Undersigned’s Customer which are the subject of the Invoice or Payment Application, but only to the extent of the Payment Amount or such portion of the Payment Amount as the undersigned is actually paid, and does not cover any retention withheld, any items, modifications or changes pending approval, disputed items and claims, or items furnished that are not paid. The undersigned warrants that he or she either has already paid or will use the money received from this progress payment promptly to pay in full all laborers, subcontractors, materialmen and suppliers for all work, materials or equipment that are the subject of this waiver and release. Notice: This document waives rights unconditionally and states that you have been paid for giving up those rights. This document is enforceable against you if you sign it to the extent of the Payment Amount or the amount received. If you have not been paid, use a conditional release form. This release covers the final payment to the undersigned for all work, materials or equipment furnished by the undersigned to the Property or to the Undersigned’s Customer and does not cover payment for Disputed Claims, if any. Before any recipient of this document relies on it, the recipient should verify evidence of payment to the undersigned. The undersigned warrants that he or she either has already paid or will use the money received from the final payment promptly to pay in full all laborers, subcontractors, materialmen and suppliers for all work, materials or equipment that are the subject of this waiver and release. The undersigned has been paid in full for all work, materials and equipment furnished to the Customer for the above-described Property and does hereby waive and release any notice of lien, any private bond right, any claim for payment and any rights under any similar ordinance, rule or statute related to payment rights that the undersigned has on the above-described Property, except for the payment of Disputed Claims, if any, noted above. The undersigned warrants that he or she either has already paid or will use the money received from this final payment promptly to pay in full all laborers, subcontractors, materialmen and suppliers for all work, materials and equipment that are the subject of this waiver and release. (e) Notwithstanding any language in any waiver and release form set forth in this section, if the payment given in exchange for any waiver and release of lien is made by check, draft or other such negotiable instrument, and the same fails to clear the bank on which it is drawn for any reason, then the waiver and release shall be deemed null, void and of no legal effect whatsoever and all liens, lien rights, bond rights, contract rights or any other right to recover payment afforded to the lien claimant in law or equity will not be affected by the lien claimant’s execution of the waiver and release. The provisions of NRS 108.245, a part of the mechanics’ and materialmen’s lien law of the State of Nevada, require, for your information and protection from hidden liens, that each person or other legal entity who supplies materials to or performs work on a construction project, other than one who performs only labor, deliver to the owner a notice of the materials and equipment supplied or the work performed. You may receive these notices in connection with the construction project which you propose to undertake. 2. Each prime contractor shall deliver a copy of the information required by subsection 1 to each subcontractor who participates in the construction project. 3. The failure of a prime contractor to inform pursuant to this section owners and subcontractors with whom the prime contractor contracts is a ground for disciplinary proceedings under chapter 624 of NRS.